"The Fighting Gamecocks Lead the Way"
The South Carolina Gamecocks football team represents the University of South Carolina in the sport of American football. The Gamecocks compete in the Football Bowl Subdivision of the National Collegiate Athletic Association (NCAA) and the Eastern Division of the Southeastern Conference. Will Muschamp currently serves as the team's head coach. They play their home games at Williams-Brice Stadium. Currently, it is the 20th largest stadium in college football. USC's SEC tenure has been highlighted by an SEC East title in 2010, Final Top-25 rankings in 2000, 2001, 2010, 2011, 2012 and 2013 (AP No. 19, No. 13, No. 22, No. 9, No. 8 and No. 4), and four wins over Top-5 SEC opponents, (No. 4 Ole Miss in 2009, No. 1 Alabama in 2010, No. 5 Georgia in 2012 and at No. 5 Missouri in 2013). From 1953 through 1970, the Gamecocks played in the Atlantic Coast Conference, winning the 1969 ACC championship and finishing No. 15 in the 1958 final AP poll. From 1971 through 1991, they competed as a major independent, producing 1980 Heisman Trophy winner George Rogers, six bowl appearances, and Final Top-25 rankings in 1984 and 1987 (AP No. 11 and No. 15). The Gamecocks have produced a National Coach of the Year in Joe Morrison, three SEC coaches of the year in Lou Holtz (2000) and Steve Spurrier (2005, 2010), and one ACC coach of the year in Paul Dietzel (1969). They also have three members of the College Football Hall of Fame in George Rogers, Lou Holtz, and Sterling Sharpe. Carolina fielded its first football team on Christmas Eve, in Charleston, South Carolina, in 1892 versus Furman. At that time the football team was not sanctioned by the University. They provided their own uniforms and paid their own train fare in order to participate in the game. They were nicknamed the "College Boys" by The News and Courier and their supporters wore garnet and black. USC won its first game in its third season, on November 2, 1895 against Columbia AA. The squad designated their first head coach, W. H. "Dixie" Whaley, the following year. The 1896 season also saw the inaugural game against arch-rival Clemson on November 12, which Carolina won 12–6. From 1902 to 1903, coach Bob Williams led the Gamecocks to a 14–3 record. In 1902, South Carolina beat Clemson, coached by John Heisman, for the first time since 1896, the first year of the rivalry. "The Carolina fans that week were carrying around a poster with the image of a tiger with a gamecock standing on top of it, holding the tiger's tail as if he was steering the tiger by the tail", Jay McCormick said. "Naturally, the Clemson guys didn’t take too kindly to that, and on Wednesday and again on Thursday, there were sporadic fistfights involving brass knuckles and other objects and so forth, some of which resulted, according to the newspapers, in blood being spilled and persons having to seek medical assistance. After the game on Thursday, the Clemson guys frankly told the Carolina students that if you bring this poster, which is insulting to us, to the big parade on Friday, you’re going to be in trouble. And naturally, of course, the Carolina students brought the poster to the parade. If you give someone an ultimatum and they’re your rival, they’re going to do exactly what you told them not to do." As expected, another brawl broke out before both sides agreed to mutually burn the poster in an effort to defuse tensions. The immediate aftermath resulted in the stoppage of the rivalry until 1909. 1903 also heralded the program's first 8-win season with an overall record of 8–2. Future senator and former star player for South Carolina and UVA, Christie Benet led the Gamecocks from 1904 to 1905 and 1908 to 1909. 1904's captain Gene Oliver played against Georgia with a broken jaw. The Board of Trustees banned participation in football for the 1906 season after the faculty complained that the coarseness of chants and cheers, yelled by the students at football games, were not gentlemanly in nature. Within months The Board of Trustees reversed their decision after hearing pleas, and receiving petitions, from students and alumni alike. Play was allowed to resume in 1907. A hastily assembled football team, coached by Board of Trustees member Douglas McKay, competed in an abbreviated season that same year, and the squad won all three games. In 1910, South Carolina hired John Neff from UVA. Norman Edgerton coached the team from 1912 to 1915. A. B. Stoney played on the team. Yet another UVA grad, W. Rice Warren coached the 1916 team. Frank Dobson led the war-torn 1918 team to a 2–1–1 record. Coach Sol Metzger led the 1921 team to a 5–1–2 record, losing only to Billy Laval's Furman. 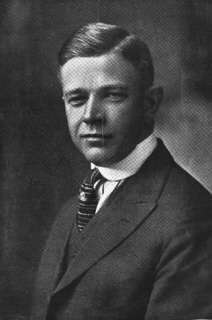 Branch Bocock coached the 1925 and 1926 teams. Billy Laval, a Columbia, South Carolina native, came to USC from Furman. Laval accepted a three-year contract worth $8,000 per year to coach the Gamecocks, which made him the highest-paid coach in the state. From 1928 to 1934, he led the Gamecocks to seven consecutive winning seasons and a 39–26–6 overall record, which included a perfect 3–0 Southern Conference campaign in 1933. The undefeated conference record earned the Gamecocks the Southern Conference Co-Championship, along with Duke. However, this championship is currently not recognized by either the school or the Southern Conference. Laval is the only South Carolina football coach to have produced seven consecutive winning seasons. In 2009, The State called him "the greatest collegiate coach" in the history of South Carolina. Laval left USC after six seasons to coach multiple sports at Emory and Henry College, partly due to differences over his contract with the USC athletics department. 1934 was the first season that Williams-Brice Stadium was used. Prior to this, South Carolina played its home games on the school's campus. Don McCallister led the Gamecocks for three seasons before being replaced. His final record is 13–20–1. Under coach Rex Enright, who came to USC from his post as an assistant coach at Georgia, the Gamecocks produced another undefeated Southern Conference season, (4–0–1), in 1941. After the 1942 season, Enright joined the United States Navy serving as a lieutenant and working mostly in their athletic program in the United States. After three head coaches (James P. Moran, Williams Newton, John D. McMillan) who had gone 10–10–5 combined in four years with one bowl appearance, Enright returned to the Gamecocks in 1946 as head football coach, and remained until 1955 when he resigned for health reasons. He hired Warren Giese as his successor, and continued as athletic director until 1960. The Rex Enright Athletic Center on the South Carolina campus was named for him and the Rex Enright Award (also known as the Captain's Cup) given to the football captains of the previous season. Enright gave-up his coaching duties in 1955 due to reasons related to poor health. Enright retired with the distinction of being the head coach with the most wins and losses in school history (64–69–7), and he still retains the record for most school losses and is 2nd in wins. 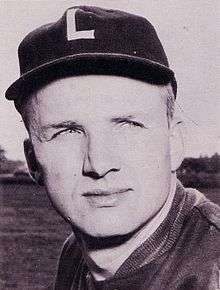 Warren Giese, who was previously an assistant coach at Maryland, was hired as head coach in 1956, and he led the Gamecocks to a 28–21–1 overall record in his 5-year tenure. Giese employed a conservative, run-first game strategy, but he enthusiastically adopted the two-point conversion when it was made legal in 1958. That year, he also correctly predicted the rise of special teams after the NCAA relaxed its player substitution rules. The Giese era included two 7–3 campaigns (1956 and 1958), an 18–15–1 ACC record, and a 27–21 victory over Darrell Royal's 1957 Texas squad in Austin. Griese was replaced after a 3–6 season in 1960. Marvin Bass was hired away from Georgia Tech, where he served as defensive coordinator, as the Gamecocks head football coach. He posted a 17–29–4 record in his four-year tenure and was replaced after five seasons due to the team's struggles and low fan support. Paul Dietzel arrived in Columbia prior to the 1966 season, having previously coached at LSU, where he won a national championship, and Army. In 1969, he led the Gamecocks to an ACC championship and an appearance in the Peach Bowl. As a result, Dietzel was named ACC Coach of the Year that season. Soon after, South Carolina left the ACC and became an Independent program prior to the 1971 season. Dietzel finished his USC tenure with a 42–53–1 overall record (18–10–1 ACC). In addition to the 1969 ACC title, Dietzel's legacies at Carolina include his improvement of athletic facilities and his penning of a new fight song, which is still used to this day ("The Fighting Gamecocks Lead the Way"). Amid growing fan unrest after an upset loss to Duke, Dietzel announced that he would resign at the end of the season, which ended in a 4–7 record. Jim Carlen, previously head football coach at Texas Tech and West Virginia, took over as coach in 1975. Under his leadership the program achieved a measure of national prominence. Carlen led the Gamecocks to three bowl games, coached 1980 Heisman Trophy winner George Rogers, and produced a 45–36–1 record during his tenure. The Carlen Era included consecutive 8–4 finishes (1979–1980) and only one losing season in seven years. In addition, the 1980 Gamecocks defeated a heavily favored Michigan squad coached by the legendary Bo Schembechler. The 17–14 victory in Ann Arbor, which made Rogers a household name, was one of the biggest wins in both the Carlen Era and the program's history. Carlen retired from coaching after seven seasons at USC. Joe Morrison was hired in 1983 following a one-year stint by Richard Bell. After a 5–6 mark in his first year, the "Man in Black" led South Carolina to a 10–2 record, No. 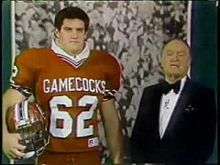 11 final AP Poll ranking, and a Gator Bowl appearance in 1984. It was also before the 1984 season began that the team removed the Astroturf that had been in place at Williams-Brice Stadium since the early 1970s and reinstalled the natural grass that remains today. The 1984 season included victories over Georgia, Pittsburgh, Notre Dame, Florida State, and Clemson. The 1984 defense was called the "Fire Ant" defense. In 1987, the Gamecocks posted an 8–4 record, No. 15 Final AP Poll ranking, and another Gator Bowl trip. The 1987 Gamecocks were led by the "Black Death" defense, which held seven opponents to 10 or fewer points and yielded just 141 points in 12 games played. Morrison coached his last game in the 1988 Liberty Bowl, as he died on February 5, 1989 at the age of 51. He finished his USC tenure with a 39–28–2 overall record, three bowl appearances, and three seasons with 8 or more wins. Due to his on-field success and "Man in Black" image, Morrison remains a popular figure in Gamecock lore. 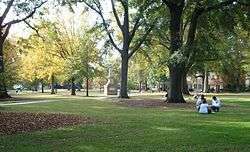 Morrison also began the tradition at Carolina, with his first game in 1983, of the pre-game entrance of the football team to the beginning of Also sprach Zarathustra, the theme from the film "2001: A Space Odyssey". This is still part of the Carolina football game day experience over 30 years later. Following Morrison's death, Sparky Woods was hired away from Appalachian State as head coach in 1989 and coached the Gamecocks until the end of the 1993 season. He posted winning seasons in 1989 and 1990, but could not produce another winning campaign during his tenure. Woods led the USC football program through the transition to the SEC and has the distinction of being South Carolina's first head coach in SEC play, as the Gamecocks entered the conference in 1992. Woods' overall record at South Carolina was 25–27–3. Brad Scott left his post as offensive coordinator at Florida State and took over as the Gamecocks head coach in December 1993. Despite modest preseason expectations, he led USC to a 7–5 record and a Carquest Bowl victory over West Virginia in his first season. The bowl win was the first post-season victory in the program's long history. However, Scott was unable to capitalize on his early success. USC only had one non-losing record in SEC play during his tenure, only one other winning overall record, and won only six games in his final two seasons. Scott was fired by athletics director Mike McGee after a 1–10 season in 1998 in which the Gamecocks lost their final ten games of the season. Scott's final record at South Carolina was 23–32–1 in five seasons. 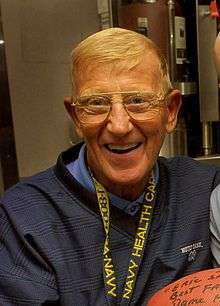 Former Notre Dame head coach Lou Holtz came out of retirement and was hired as USC's head coach in 1999. He inherited a relatively young SEC program (joined in 1992) that posted only three winning seasons from 1990 to 1998. USC won just a single game the year before Holtz's arrival and, subsequently, went 0–11 in his inaugural campaign. It didn't take long for Holtz to improve the Gamecocks' fortunes, however, as he engineered 8–4 and 9–3 records in the 2000 and 2001 seasons. In addition, USC won consecutive Outback Bowls over Ohio State and produced the most successful two-year run in program history (at the time), going 17–7 overall and 10–6 in SEC play. The 2000 and 2001 campaigns also saw USC's return to the polls, as the Gamecocks turned in No. 19 and No. 13 rankings in the Final AP ballots for those years. After consecutive 5–7 finishes in 2002 and 2003 (in which the team was ranked in the Top 25 during both seasons), Holtz ended his USC tenure on a winning note with a 6–5 record in 2004 before retiring again. Holtz finished with a 33–37 overall record at South Carolina. In 2005, USC was placed on 3 years probation by the NCAA for actions during the coaching tenure of Lou Holtz, all of which were self-reported by the school. Five of these actions were considered major violations, and included such activities as impermissible tutoring and non-voluntary summer workouts as well as a "lack of institutional control". Coach Holtz pointed out following the close of the investigation, "There was no money involved. No athletes were paid. There were no recruiting inducements. No cars. No jobs offered. No ticket scandal, etc." Former Washington Redskins head coach Steve Spurrier, who achieved fame after a very successful stint as head coach at his alma mater Florida, was hired in 2005 to replace the retiring Holtz. Spurrier led the Gamecocks to a 7–5 record and Independence Bowl appearance in his first season. As a result, Spurrier was named the 2005 SEC Coach of the Year. The 2006 season saw continued success under Spurrier, as the Gamecocks posted an 8–5 record and a victory over Houston in the Liberty Bowl. South Carolina posted consecutive 7–6 records in 2008 and 2009, returning to postseason play with appearances in the Outback Bowl and PapaJohns.com Bowl. In 2010, Spurrier scored another first with the first SEC Eastern Division Championship in school history. On November 13, 2010, the Gamecocks defeated Florida 36–14 to clinch the division. Prior to this contest, USC had an all-time record of 0–12 at The Swamp. Freshman RB Marcus Lattimore rushed for 212 yards and 3 touchdowns in the game. Spurrier got his first win in Gainesville as a Gamecock, received a "Gatorade Bath" from his players, and became the first coach to win the SEC East with two different teams. Earlier in the season, the Gamecocks posted the program's first win over a No. 1 team in program history, with a 35–21 victory over top-ranked, defending national champion Alabama. In 2011, Spurrier led USC to its most successful season in program history. The Gamecocks posted an 11–2 overall record, went 6–2 in SEC play, and defeated No. 20 Nebraska in the Capital One Bowl to earn Final Top 10 rankings in the AP and Coaches' Polls (No. 9 and No. 8, respectively). Along the way, USC defeated Georgia, Tennessee, Florida, and Clemson in the same season for the first time in program history. The University of South Carolina was investigated in 2011–12 by the NCAA after it came to light that student-athletes (including some football players) had received an estimated $59,000 in impermissible benefits, mainly the result of discounted living expenses at a local hotel. The school imposed its own punishment, paying $18,500 in fines and cutting three football scholarships in each of the 2013 and 2014 seasons. The school also reduced its official visits for the 2012–13 year, from 56 to 30. The NCAA ruled this self-imposed punishment as adequate, stating that "the violations were limited in scope" and "there was no unethical conduct in this case", and went on to praise the school's handling of the affair, with the chairman of the NCAA infractions committee stating, "This has been one of the best cases I have seen from a process standpoint. . . . In this case, it was obvious to the committee that the university wanted to get to the truth." The commissioner went on to state that USC "wanted to ask all the hard questions of all the right people and, in some cases, they even went beyond what the NCAA staff was doing." In 2012 Steve Spurrier, once again, led his South Carolina football team to double-digit wins during the course of the regular season campaign. The 2012 regular season culminated with the annual season-ending game against archrival Clemson at Clemson's Memorial Stadium. Spurrier and his Gamecocks emerged with a fourth consecutive victory over the Tigers – a victory marked by Spurrier winning his 65th game at Carolina and, in doing so, becoming the winningest coach in Gamecock football history surpassing Rex Enright's 64 win total. 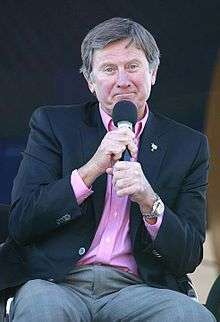 Spurrier led the Gamecocks to a thrilling 33–28 victory in the Outback Bowl against the winningest program in college football, Michigan. The victory elevated the Gamecocks to an 11–2 record for the second consecutive season. Additionally, by finishing 8th in the Associated Press poll and 7th in the Coaches poll, South Carolina finished in Top 10 of both polls for the second consecutive year. In 2013, Spurrier and the Gamecocks finished with another extremely successful 11–2 season. The season started off with a convincing 27–10 win over North Carolina, although they fell to Georgia for the first time in four years, 41–30. Carolina went on a four-game winning streak before falling to Tennessee in Knoxville after starting quarterback Connor Shaw left the game with a knee injury. In the following game against division-leading #5 Missouri, Shaw was sidelined due to injury, and backup Dylan Thompson got the start. After a weak performance from the Gamecocks in the first three quarters, Shaw was put in the game in the fourth quarter with South Carolina down 0–17. Shaw went on to lead a historic comeback in which the Gamecocks beat Missouri in double overtime, 27–24. That game was the first of a six-game winning streak in which Spurrier and Carolina won the rest of their games, posting another 11–2 season. 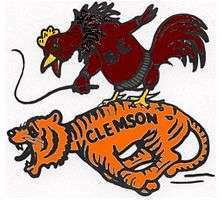 The Gamecocks also defeated #6 Clemson for the fifth year in a row, a school record, by a score of 31–17. Spurrier led the Gamecocks to a 34–22 victory over the #19 Wisconsin in the 2014 Capital One Bowl. South Carolina finished with the highest ranking in school history in the AP poll, ranked at #4 in the country. South Carolina opened the 2014 season at home against Texas A&M, and the Aggies' surprising 52–28 upset over the #9 Gamecocks snapped college football's longest active home winning streak. Carolina earned redemption in the following weeks knocking off both East Carolina and the #6 Georgia Bulldogs at home. The 14th-ranked Gamecocks would win again on the road at Vanderbilt before losing at home against Missouri, 21–20. This loss dropped USC out of the top 25 for the first time since the 2010 season. The Gamecocks closed out the regular season with their first loss in six years to their in-state rival, #21 Clemson, 35–17. Spurrier and his team finished the 2014 campaign with the program's fourth-straight bowl win, a victory over the Miami Hurricanes in the 2014 Independence Bowl and a 7–6 overall record. On October 12, 2015, after a 2–4 start to the season, Spurrier announced to his team that he would be resigning, effective immediately. Offensive line coach/co-offensive coordinator Shawn Elliott was named the team's interim head coach. Interim head coach Shawn Elliott led the Gamecocks to victory the following week against Vanderbilt but lost the final five games of the season; including a 23–22 loss to FCS opponent The Citadel, their first since 1990. South Carolina ended the year with a second straight loss to in-state rival Clemson and a 3–9 overall record. In his 10 seasons at South Carolina, Steve Spurrier never had a losing record. Many of South Carolina's most successful seasons came during the Steve Spurrier era, including a SEC East Division championship in 2010 and three consecutive eleven win seasons (2011–13). Spurrier also boasted a 6–4 record against the school's in-state rival, Clemson, including five consecutive wins during the 2009–2013 seasons. Auburn defensive coordinator and former Florida head coach Will Muschamp was named as South Carolina's new head coach on December 6, 2015. On September 1, 2016, the Will Muschamp era began with a win, as the Gamecocks defeated Vanderbilt by a score of 13–10. After a 2-4 start, Carolina won four of their final six contests, including a 24-21 victory over 18th-ranked Tennessee and a 31-21 victory over Missouri for The Mayor's Cup. The Gamecocks' 2016 regular season ended with a 56-7 loss to arch-rival Clemson, bringing their record to 6-6 (3-5 SEC). The Clemson–South Carolina rivalry is the largest annual sporting event by ticket sales in the state of South Carolina. Clemson holds a 68–42–4 lead in the series which dates back to 1896. Historically the final score in the game on average has been decided by less than a touchdown. From 1896 to 1959, the Carolina-Clemson game was played on the fairgrounds in Columbia, South Carolina and was referred to as "Big Thursday." In 1960 an alternating-site format was implemented utilizing both teams' home stadiums. The annual game has since been designated "The Palmetto Bowl." The last nine contests between the programs have been nationally televised (5 on ESPN, 4 on ESPN2). The South Carolina-Georgia Rivalry, a "border rivalry", back to 1894, with Georgia holding a 47–18–2 overall lead in the series. However, the series has been far more competitive since USC joined the SEC in 1990, with Georgia holding a 14–9 advantage. The 1980 game was between future Heisman Trophy winners George Rogers and Herschel Walker. Led by Walker's 219 rushing yards, Georgia won 13–10 and would go on to capture the National Championship. Rogers turned in 168 rushing yards during the course of the battle, setting the stage for a successful finish to his senior season and eventual Heisman Trophy award. The last 17 match-ups between the schools have been nationally televised, dating back to 1997 (6 on ESPN2, 5 on ESPN and 5 on CBS). The "Battle of the Carolinas" rivalry began in 1903. North Carolina holds a 34–19–4 overall lead in the series. While no longer a conference rivalry, since South Carolina left the ACC in 1971, the teams still meet occasionally. In the 2010s decade the series has always been played on a Thursday. It was announced in September 2015 that USC and UNC will play every four years in 2019 and 2023. The USC-Florida rivalry is the most recently added secondary-rival of USC. The rivalry was born when former Florida player (1963–1966) and head football coach (1990–2001) Steve Spurrier was hired as USC's head football coach in 2005. In Spurrier's first season at the helm in South Carolina, USC spoiled UF's SEC championship hopes by upsetting the Gators in Columbia, South Carolina, and thus igniting the rivalry almost instantly. In 2010, South Carolina clinched their first SEC Eastern Division title with a commanding 36–14 win in The Swamp in Gainesville, Florida. Florida currently holds a 24–8–3 lead in the series, while Spurrier holds a 5–5 record versus his alma mater while wearing the garnet and black colors of the Gamecocks. Current Gamecocks head coach Will Muschamp also served as the Florida Gators head coach from 2011–2014. The rivalry known as the Battle of Columbia started when Missouri was added to the SEC in 2012. Both of Missouri and South Carolina campuses are located in cities named Columbia. Before 2012, the schools met twice in 1979 and in 2005 in post season play. Whoever wins the matchup brings home the Mayors' Cup, which was inaugurated in 2012. Though Missouri leads the overall series at 4–3, The Gamecocks lead the Tigers 3–2 in the Battle of Columbia matchups. Carolina has 20 bowl appearances, with a 8–12 record overall. The Gamecocks did not win a bowl game in their first eight attempts. Their first win came in Miami, Florida against West Virginia in the Carquest Bowl, 24–21, in 1995, and they have gone 8–4 in their last 12 bowl games. In 1933, under the direction of the legendary Billy Laval, the Gamecocks went undefeated in conference play to win the school's first conference championship. They would share the honor with Duke, which also went undefeated in conference play. Part of the championship season included shutout victories over Wofford, Clemson, Virginia Tech and NC State. This championship is currently not recognized by either the school or the Southern Conference. In 1969, the Gamecocks won the ACC Championship by going undefeated in conference play. In its six ACC matchups, USC outscored its opponents by a 130–61 margin. The squad posted a 7–4 overall record with a Peach Bowl appearance against West Virginia to close the season (14–3 loss). Two years later, South Carolina left the ACC and competed as an Independent for two decades before joining the SEC in 1992. Led by Coach Morrison, the 1984 Gamecocks became the first team in school history to win 10 games (10–2 record) and were ranked as high as No. 2 in the polls.. The Gamecocks finished No. 11 in the Final AP Poll. Along the way, they defeated Georgia, Pittsburgh, Notre Dame, Florida State, and Clemson to earn an appearance in the Gator Bowl against Oklahoma State (21–14 loss). At the time, the No. 11 final ranking was the highest ever achieved by South Carolina. In 2010, the Gamecocks won their first SEC Eastern Division Championship, going 5–3 in conference play. For the first time in school history, they defeated the No. 1 ranked team in the country (Alabama) and won at Florida in the division-clinching game. The season also included victories over division foes Georgia, Tennessee, and Vanderbilt as well as instate Atlantic Coast Conference rival Clemson. In their first appearance in the SEC Championship Game, the Gamecocks lost to No. 1 Auburn, 56–17. 2011 – "First 11-Win Season"
Led by Coach Spurrier, the 2011 Gamecocks achieved its most wins in a single season and finished in the Top 10 for the first time in program history. USC posted an 11–2 overall record, went 6–2 in SEC play, and won the Capital One Bowl to finish No. 9/8 in the Final AP and Coaches' Polls (respectively). Along the way, USC defeated Georgia, Tennessee, Florida, and Clemson to extend its winning streak over its biggest rivals to 3 games. This was also the first season that USC posted a 5–0 record against their SEC Eastern Division opponents. Coach Spurrier worked his magic once again during the 2013–14 season by leading the Gamecocks to their third consecutive eleven-win season, their two losses coming at the hands of Georgia in Athens and Tennessee in Knoxville. By the end of the 2013 campaign, Carolina held the longest home winning streak in the nation at 18. The 2013 regular season culminated with a fifth consecutive victory over instate rival Clemson, in Williams-Brice Stadium, and an invitation to play in the Capital One Bowl in Orlando versus the Wisconsin Badgers. Connor Shaw led the Gamecocks to a 34–24 victory and was named the MVP of the bowl. Carolina became only the twelfth program in NCAA D1 history to record three consecutive 11-win seasons, (Miami (FL), Nebraska, Florida State, Alabama, Southern California, LSU, Oklahoma, Boise State, Oregon, Stanford, Northern Illinois), and finished the season ranked No. 4 in both the AP and Coaches' Polls, the highest final ranking in program history. The SEC has been split into two divisions since the 1992 season with USC competing in the SEC East since that time. Years listed for Bowl victories are seasons for which they occurred. USC's 1980 season was headlined by senior running back George Rogers ("Big George"), who led the nation in rushing with 1,894 yards. For his efforts, the Downtown Athletic Club named Rogers the winner of the 1980 Heisman Trophy award. Rogers beat out a strong group of players, including Georgia running back Herschel Walker. Rogers also earned spots on eight All-American teams, all First-team honors. Behind the Rogers-led rushing attack, the Gamecocks went 8–4 overall and earned an appearance in the Gator Bowl. Rogers is also the recipient of the 1980 Chic Harley Award, the 2004 Walter Camp Alumni of the Year award, a Pro-Bowl selection, an SEC Football Legend, a Super Bowl champion and an NFL Rookie of the Year. Syvelle Newton joins the "600 Club"
From 2003 to 2006, Syvelle Newton played multiple positions for the Gamecocks and left his mark on the national record books in the process. He became one of only four players in college football history to record 600+ yards passing, rushing, and receiving (each) in a collegiate career. In Newton's four seasons, he posted 2,474 passing yards (20 TD, 13 INT), 786 rushing yards (10 TD), and 673 receiving yards (3 TD). He also returned 6 kickoffs for 115 yards (19.2 average) and made 18 tackles and an assisted sack in limited defensive action. "Fighting Gamecock Logo – USC's helmet, regardless of color, has featured a fighting gamecock since 1969. This bird, which includes metal spurs, is usually featured inside a Block C but is also displayed by itself. Helmets have been white with garnet and black trim and Gamecock logo with or without the block C, Garnet with white and black trim with Gamecock Block C logo, Black with garnet and white trim with Gamecock Block C logo and in 2015 they unveiled some Block C logos with a chrome finish and a White helmet with oversized tail end of the Gamecock logo in Chrome Garnet. "2001" Entrance – The Gamecocks' enter Williams-Brice Stadium to the introduction of "Also sprach Zarathustra", popularly known from the film "2001: A Space Odyssey". This tradition was started by Coach Joe Morrison with his first game in 1983. "Carolina" and "Gamecocks" on Jersey – USC has intermittently featured the script "Carolina" and "Gamecocks" on the front of its jersey since coach Jim Carlen's arrival in 1975. While the jersey used "Gamecocks" for much of the 1980s and early 1990s, it has solely used "Carolina" on its jersey since the late 1990s. Cockaboose Railroad – In 1990, cabooses renovated in Gamecock colors and decor became part of the USC tailgate scene. They sit on a dormant railroad track near Williams-Brice Stadium. S.C. Flag and Palmetto Tree/Crescent – As South Carolina's flagship university, USC prominently displays the state flag and Palmetto Tree/Crescent logo on game days. In addition to players entering the field with the state flag flying in advance during "2001", the stadium's playing surface is adorned with garnet and white Palmetto Tree/Crescent logos, and the state flag is represented by decals on the back of players' helmets. "If It Ain't Swayin', Then We Ain't Playin" – Originating from a Joe Morrison comment about the reported "swaying" of the Williams-Brice Stadium upper deck during a 38–14 win over USC in 1983, "if it ain't swayin', we ain't playin'" became a catchphrase for Carolina fans, even after the East Upper Deck of Williams-Brice Stadium had additional supports added to reduce the swaying. Sir Big Spur – Sir Big Spur (originally called Cocky Doodle Lou), the university's official live gamecock, attends USC football and baseball games. Cocky – Cocky has been the USC mascot since 1980. Cocky is the four-time "national champion", five-time "All-American" mascot & 2003 winner of the Capital One National Mascot of the Year for the Gamecocks. The "son" of Carolina's original mascot Big Spur, Cocky appears at every USC home football contest, making a "magical" appearance at the climax of the 2001 opening sequence. Sandstorm - Beginning in October 2008, the song Sandstorm by Darude is played after USC is kicking the ball to the opposing team after a score; the song is stopped when the kicker makes contact with the football. As the song is played, fans wave white "Spirit Towels" over their heads." In the 2009 season, USC wore a special uniform against Florida in support of the Wounded Warrior Project. In the 2011 season, USC wore special uniforms against Auburn in support of the Wounded Warrior Project. In the 2012 season, USC wore special uniforms against LSU in support of the Wounded Warrior Project. Before the start of the 2013 season, USC debuted new uniforms made by Under Armour. The stripes on the front of the shoulders were moved to the top of the shoulder. The uniforms contain 11 total stripes – the same number of buildings as the national historic landmark that is The Horseshoe on the campus of the university. The following is a list of Gamecock players in the NFL. South Carolina plays Texas A&M as a permanent non-division opponent annually and rotates around the West division among the other six schools. ↑ "Clowney A Consensus All-American University of South Carolina Official Athletic Site". gamecocksonline.com. ↑ "University of South Carolina". Retrieved 2014-08-14. 1 2 "C.R. Williams". College Football at Sports-Reference.com. ↑ "Morning Game Was Jonah To Clemson At Columbia". Atlanta Constitution. October 31, 1902. p. 2. Retrieved May 3, 2016 – via Newspapers.com. ↑ "100 Things South Carolina Fans Should Know & Do Before They Die". 1 2 Morris: Laval knew how to win, no matter the sport, The State, November 15, 2009. 1 2 "University of South Carolina Official Athletic Site". web.archive.org. Retrieved 2015-08-25. 1 2 "SoCon Media Guide" (PDF). soconsports.com. Retrieved 2015-08-25. ↑ "Don McCallister". College Football at Sports-Reference.com. 1 2 3 4 5 6 Jake Penland (April 7, 1960). "South Carolina's Enright is dead" (PDF). The State. dspace.ychistory.org. Retrieved 2015-08-25. ↑ "Rex Enright". College Football at Sports-Reference.com. 1 2 "Warren Giese". College Football at Sports-Reference.com. ↑ "Three Platoons Forecast". NY Times. Retrieved 2015-08-25. 1 2 "Former South Carolina Gamecocks coach Marvin Bass dies at 91". ESPN. ↑ "Marvin Bass". College Football at Sports-Reference.com. 1 2 3 "Paul Dietzel". College Football at Sports-Reference.com. 1 2 3 4 5 "University of South Carolina Official Athletic Site". cstv.com. 1 2 "The New York Times". nytimes.com. Retrieved 2015-08-25. 1 2 3 "Jim Carlen". College Football at Sports-Reference.com. 1 2 3 "Joe Morrison". College Football at Sports-Reference.com. ↑ "RealClearSports – Top 10 College Football Entrances – 4. South Carolina 2001". realclearsports.com. 1 2 3 "Sparky Woods". College Football at Sports-Reference.com. ↑ "Fsu Aide Scott To Coach South Carolina". tribunedigital-orlandosentinel. 1 2 "Brad Scott". College Football at Sports-Reference.com. ↑ "Scott fired as South Carolina coach". chronicle.augusta.com. Retrieved 2015-08-25. ↑ "ON COLLEGE FOOTBALL – Holtz Goes From 0-11 to Oh, Boy". NY Times. Retrieved 2015-08-25. ↑ "A look back at the career of retired USC coach Lou Holtz". wistv.com. 19 November 2004. ↑ "USC trustees hire Steve Spurrier as head Gamecocks football coach". wistv.com. 22 November 2004. 1 2 3 4 5 6 "Steve Spurrier". College Football at Sports-Reference.com. 1 2 3 4 5 "South Carolina Gamecocks vs Florida Gators – Recap". ESPN. ↑ "Alabama Crimson Tide vs South Carolina Gamecocks – Recap". ESPN. ↑ "Nebraska Cornhuskers vs. South Carolina Gamecocks – Box Score – January 02, 2012 – ESPN". ESPN. ↑ "University of South Carolina Sports news by GoGamecocks.com – Columbia, South Carolina". gogamecocks.com. ↑ "South Carolina Gamecocks vs Clemson Tigers – Recap". ESPN. 1 2 AP (1 January 2013). "South Carolina edges Michigan in wild Outback Bowl finish". USA TODAY. ↑ Ethan Grant. "North Carolina vs. South Carolina: Score, Grades and Analysis". Bleacher Report. ↑ Satchel Price. "South Carolina vs. Georgia 2013 game recap: Bulldogs earn 41–30 victory". SBNation.com. Vox Media. ↑ Jason Kirk. "Connor Shaw injury: South Carolina starting QB strains left knee". SBNation.com. Vox Media. ↑ "Dylan Thompson to start for injured Connor Shaw – CollegeFootballTalk". nbcsports.com. ↑ Connor Tapp. "South Carolina vs. Missouri 2013 final score: Gamecocks roar back to win overtime thriller". SBNation.com. Vox Media. 1 2 "Gamecocks finish season with No. 4 ranking". thestate. ↑ "Wisconsin Badgers vs South Carolina Gamecocks – Recap". ESPN. ↑ "2010 NCAA College Football Polls and Rankings for Week 1 – ESPN". ESPN.com. ↑ "2014 NCAA College Football Polls and Rankings for Week 6". ESPN. ↑ "2015 South Carolina Gamecocks Football Schedule". fbschedules.com. Retrieved April 12, 2016. ↑ "South Carolina vs Citadel Series". cfrc.com. Retrieved April 12, 2016. ↑ "Will Muschamp named South Carolina head coach". SB Nation. Retrieved April 12, 2016. ↑ "South Carolina vs Clemson 1869–2012". stassen.com. ↑ "South Carolina Game by Game against Opponents". cfbdatawarehouse.com. ↑ "Winsipedia – North Carolina Tar Heels vs. South Carolina Gamecocks football series history". Winsipedia. ↑ College Football Data Warehouse, Missouri vs South Carolina. Retrieved 2014-06-18. 1 2 3 Haney, Travis (4 December 2010). "Surprise season continues for Gamecocks and their fans". Herald Online. Retrieved 2011-03-08. ↑ "Newton putting up numbers in AFL, eyes shot in NFL". SCNow. ↑ "University of South Carolina Official Athletic Site". cstv.com. ↑ "The Best 377 Colleges, 2013 Edition (Enhanced Edition)". ↑ "Quantum Change Agenda". cabl.org. Retrieved 2015-08-25. ↑ "Nation & World | Ousted SC board member offers $5M gift to school | Seattle Times Newspaper". web.archive.org. Retrieved 2015-08-25. ↑ "Black Progress in Graduation Rates at Flagship State Universities". The Journal of Blacks in Higher Education. ↑ "USC students, fans make "Sandstorm" their unofficial anthem". wistv.com. 29 November 2010. 1 2 3 MIKE A. GLASCH, Fort Jackson Leader (22 October 2009). "Gamecocks support wounded warriors". army.mil. ↑ "SEC Future Football Schedule Rotation Announced". fbschedules.com. Retrieved 2014-06-14. ↑ "South Carolina Gamecocks Football Schedules and Future Schedules". fbschedules.com. Retrieved 2012-02-26.